That concludes the audio portion of my tour. 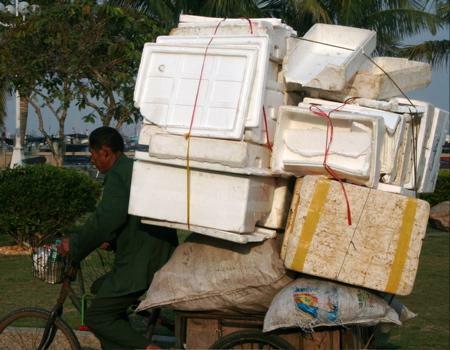 I'm packed, and after toodling around Shanghai a little, I peddle off to Beijing for some culture, and then home. This is the µ3i with its top off. MC, MM, and lots of flexibility. First you build, then you measure. 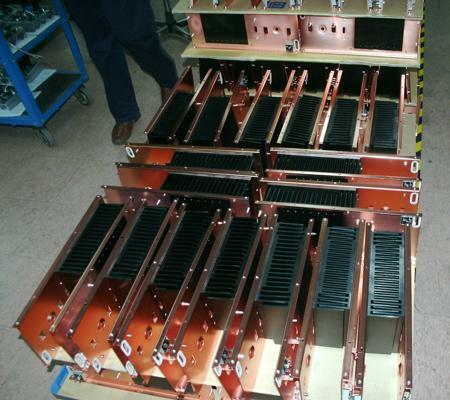 Modules awaiting attachment to the chassis. "It looks like kits." 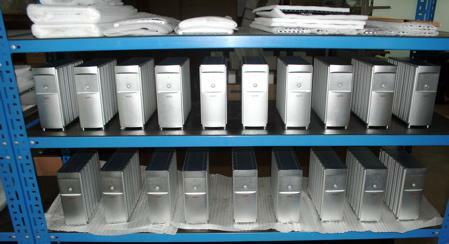 Heatsinks waiting to be attached to their output devices—or is it the other way around? 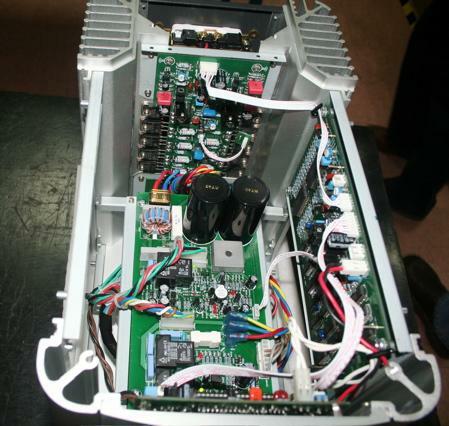 The inside view of a Dussun X-500 power conditioner. 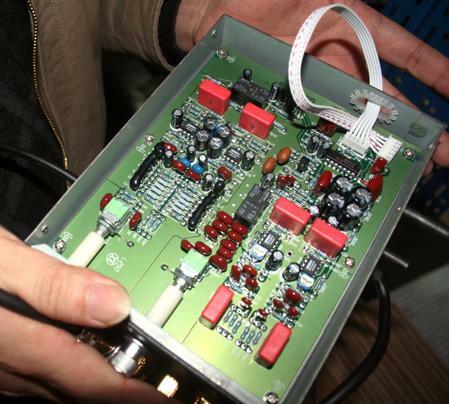 The D9 is Dussun's multichannel integrated amplifier. Actually, the only amps Dussun makes are integrateds. 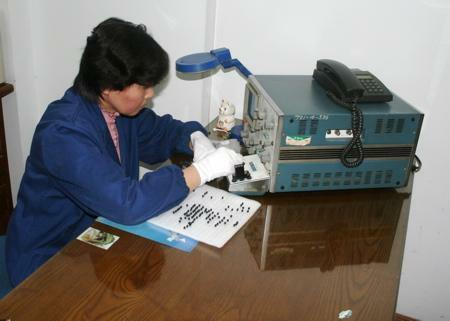 "We only do final assembly," Zou said. 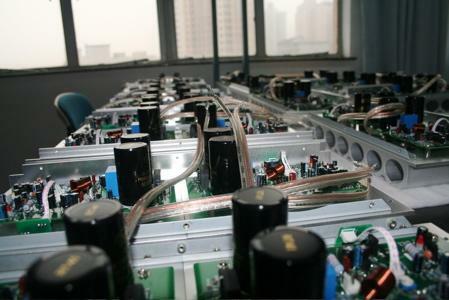 "I can't afford a larger staff, given Shanghai salaries, so we purchase the component parts from all over—the resistors are European, the circuit boards are the best, and we buy chassis parts from David Zheng at EKTG." 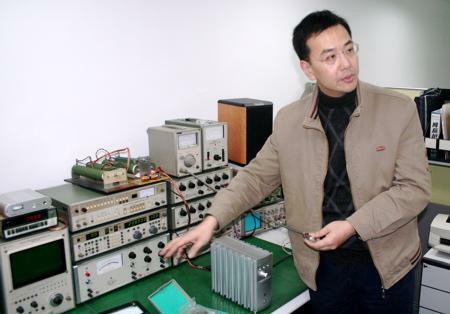 This is Zou Yuan Yuan, managing director of Dussun Electronics Co. Ltd. That's pronounced da-sun, as in "Da sun, boss, da sun!" 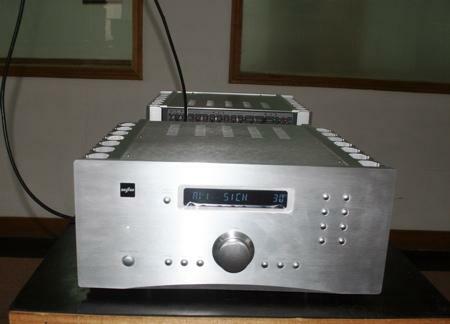 XLH's SL-INS preamplifier ($5000). No, I didn't get a chance to hear them—Mr. 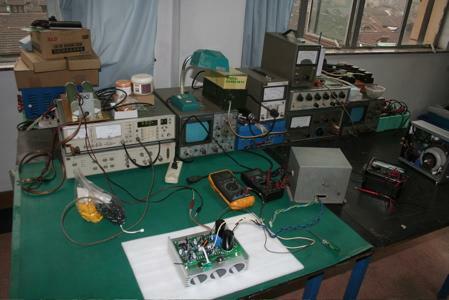 Hou is still building his second AEF-1812, having sold his previous sets. 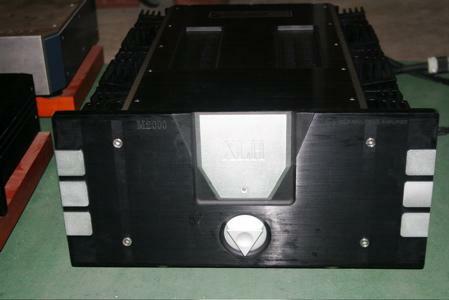 XLH's M-2000 monoblock power amplifier $25,000/pair). 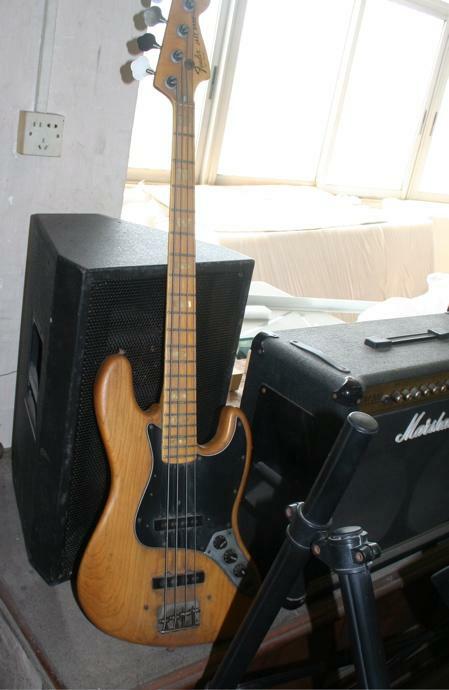 Mr. Hou's tasty vintage Fender Jazz bass. 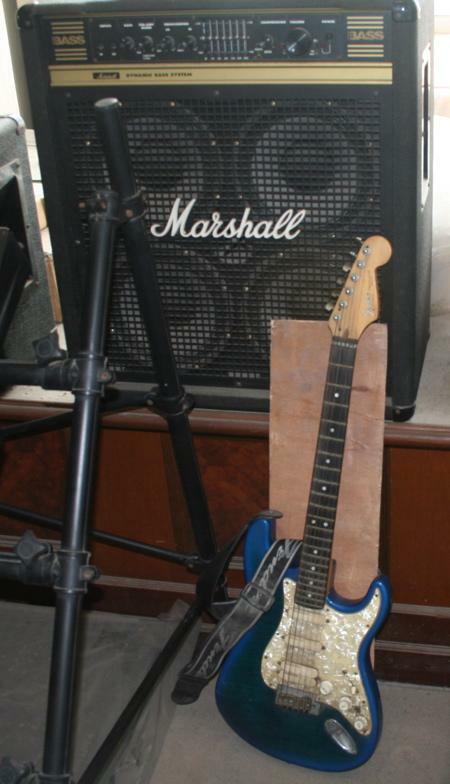 Mr. Hou's Marshall and Strat. 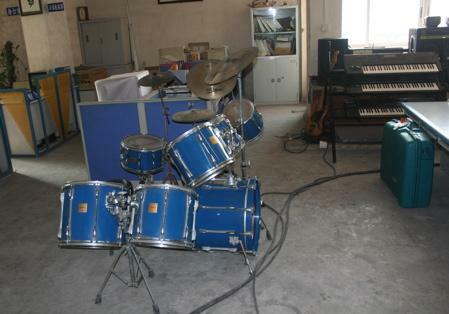 Mr. Hou's loft is stuffed with fun goodies, such as a drum set, keyboard rack—even a disco ball.